The Greater Sydney Commission is completely oil, energy and climate change illiterate by naively thinking Sydney would grow to 8 million. The planning panels are failing their duty of care to calculate the cumulative power requirements of all high rise DAs they approve, most of them around rail stations.In a recent panel meeting on skyscrapers in Epping and Parramatta I reminded the Chair of this failure. In the latest posts on my website Crudeoilpeak I have shown that all NSW coal fired power plants are maxed out on hot summer afternoons. We were lucky we did not have load shedding this summer because we did not have a simultaneous heatwave in Queensland, NSW and Victoria, a combination which is more and more likely in future. Given the toxic nature of climate change and energy politics in Australia it is certain that there will be energy supply problems in future. As energy is the economy and the economy is energy the whole GSC “plan” is rather academic.It is interesting to note that on page 172 the paper claims that energy can be re-used while most energy generation in the urban environment ends up in low grade waste heat. We should therefore not get too excited about all the transport links shown on the above map. The 3rd city around Badgerys Creek airport will be especially hot under global warming conditions with huge air conditioning requirements..
By the way, China’s oil production has peaked in 2015 and that is already changing the world securing oil trade routes through the South China Sea and the Indian Ocean (navy base on Maldive Island north of Diego Garcia). There is no strategic thinking by Australian governments. 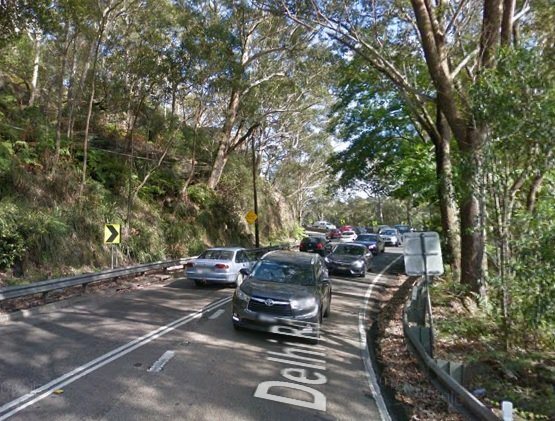 If we get an oil crisis while the Epping – Chatswood tunnel is closed Gladys will lose her job because the “metro” with incompatible cars was her idea. I must say that Staples’ proposed line has a lot of merit in dealing with the post Metro Southwest and Metro West situation. And it replaces a very clogged set of roads. Bankstown to Olympic Park it could almost run on current rail alignment. It depends on whether Bankstown to Olympic Park is heavy rail or rapid metro. If rapid metro then the Cabramatta line would need to be separated. There is also a question of how many platforms and passenger concourse entrances required at Olympic Park if both the propose Bankstown to Olympic Park and Metro West intersect at the existing Olympic Park station. The current plan seems to be for a new rail line between Parramatta and Kogarah to use the existing T3 rail alignment between Birrong and Bankstown and for the remaining track between Lidcombe and Cabramatta to be converted to light rail (potentially as an extension of the Parramatta to Sydney Olympic Park light rail line). Bear in mind, these are all little more than lines on a map at the moment. So I see them as the most likely outcome at the moment, but by no means set in stone. A light rail line using Birrong to Cabramatta and Birrong to Lidcombe would mean relocating intermodal freight terminals and relocating passenger station elevators to somewhere.